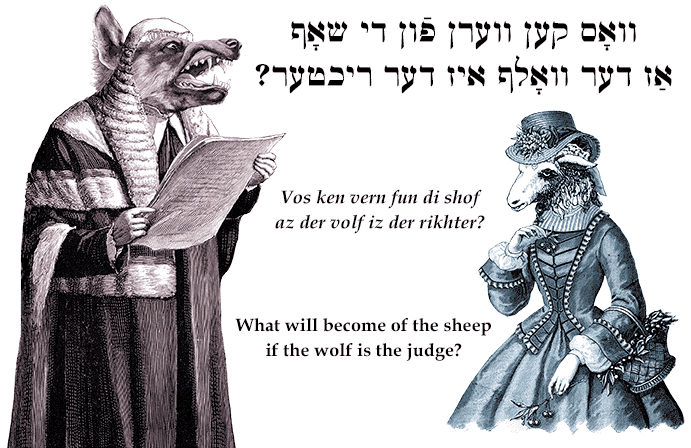 Yiddish Wit: What will become of the sheep if the wolf is the judge? װאָס קען װערן פֿון די שאָף אַז דער װאָלף איז דער ריכטער? What will become of the sheep if the wolf is the judge?